As a child, I enjoyed listening to my father (of Galway Irish Catholic stock) on the rare occasions he told stories about his Southland childhood. They were stories about rabbit-hunting with ferrets and ploughing his father’s farm behind a team of draught-horses, and when he talked about his grandparents he slipped into their Irish brogue. Davin, who was brought up in a working-class Irish Catholic household in Gore and Invercargill, was a high achiever on the international stage, eventually becoming the Oxford University Press’s academic publisher. But he never forgot his roots. One of his last stories is about an Invercargill Marist brother who failed to “drive the devil out” of a nine-year-old boy. 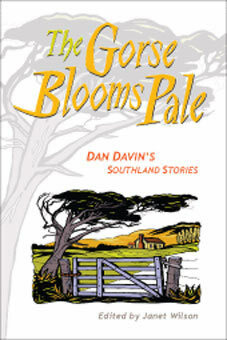 Now, for the first time, 26 of his Southland stories, written between 1934 and 1989, have been corralled in The Gorse Blooms Pale (also the title of Davin’s first collection of short stories published in 1946). The book includes 12 stories from that volume, eight from Breathing Spaces (1975) and six previously uncollected stories. Most of the stories are thinly disguised autobiography, but like a seanchai (an Irish storyteller) Davin was adept at playing with “the plasticine of truth”. We meet the Connollys (read the Davins) who live on a farmlet on the outskirts of Invercargill, a mainly Protestant town. Young Mick Connolly (read Dan Davin) is “a practised eavesdropper”. He listens to his parents’ conversations and observes their Irish ways: his father, Ned Connolly, who emigrated from Galway in the early 1900s, works as a railway guard and tends his garden in his off hours. Mick and his brothers milk the cow, witness the killing of a calf and go rabbit-hunting with dogs and ferrets. The stories bleed into each other, and we follow Mick as he grows older and explores the wider countryside and the seamier side of Invercargill. The narratives also grow in sophistication. Though it’s not explicit in the stories, Davin would have been remembering his “Lost Eden” while studying at Oxford and fighting a war in Europe and Africa. Later stories are based on a trip he made back to New Zealand in 1948. In his twilight years, he dug further to when the family was living in Gore in 1919. The story “Black Diamond” combines a yarn about boys gathering coal that had fallen off railway wagons with one about a trip across the Western Desert with the New Zealand Division (its tactical sign was a black diamond). The boys filch the Black Diamond coal (“the best coal you could get around Southland”) from the Gore shunting yards to heat the house in which their mother gives birth to a new brother. Davin’s symbolism is not laboured – he’s making comfort out of a god-awful situation and old age. Not all of his long fiction was so successful: Wilson points out that some of his novels were a disappointment to both Davin and critics, because they didn’t to live up to his early promise. But if the Southland stories were the only pieces he had written, he still would have served his country well. I hadn’t read them before, and I’m grateful to Wilson for re-presenting Davin’s yarns about a culture that seeded people like me.